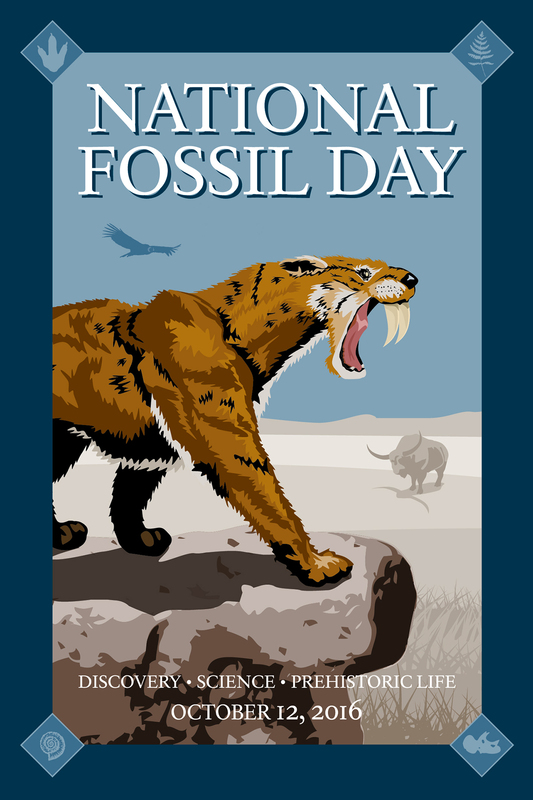 We encourage groups to use the National Fossil Day 2016 artwork to promote their NFD events and activities. The Pleistocene ecosystems graphic is the official National Fossil Day 2016 artwork. It can be used to promote NFD activities and events, and includes the date October 12, 2016. 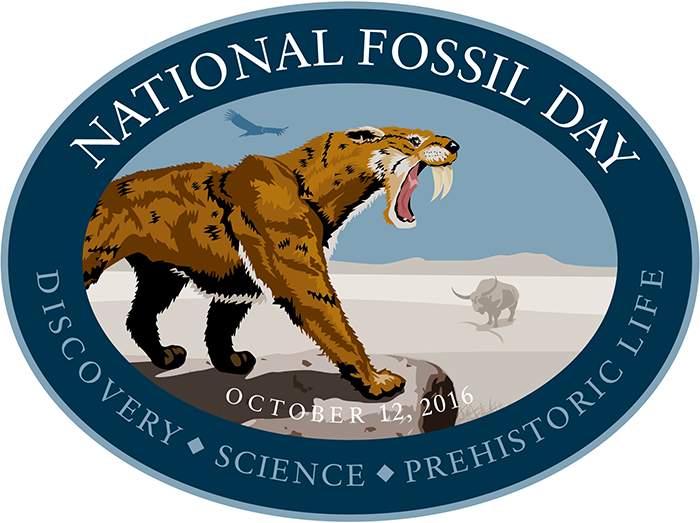 The official permanent logo of National Fossil Day is the brown "titanothere" logo, available here. The 2016 National Fossil Day artwork may be used on your web sites or in your print publications. The artwork is available in rectangular and oval formats, and in a variety of file types and resolutions. If you have another use in mind or have questions, please contact us.